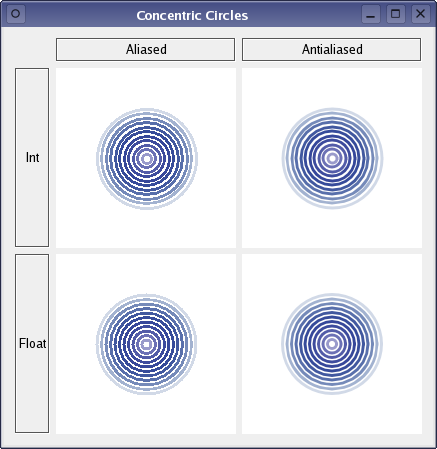 The Concentric Circles example shows the improved rendering quality that can be obtained using floating point precision and anti-aliasing when drawing custom widgets. The example also shows how to do simple animations. We declare the various components of the main window, i.e the text labels and a double array that will hold reference to the four CircleWidgets. In addition we declare the private createLabel() function to simplify the constructor.